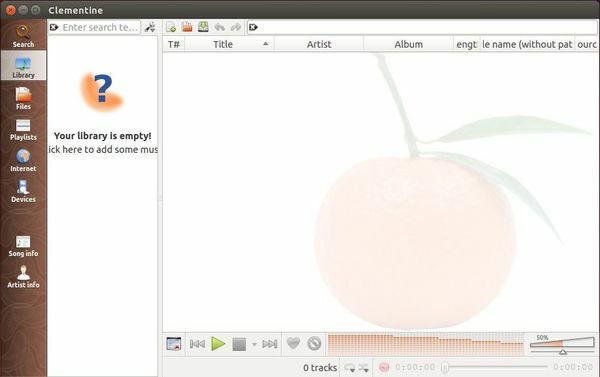 Clementine is an Amarok 1.4 inspired music player focusing on a fast and easy-to-use interface for searching and playing your music. The Ubuntu 14.04 default repositories provide Clementine 1.2.0, while the latest has reached release 1.2.3 which fixed poor search performance with sqlite 3.8 and some minor bugs. To install the latest Clementine player: use a PPA or directly download the .deb package. 1. An Ubuntu PPA was created with most recent builds of the player for Ubuntu 14.04, Ubuntu 13.10 and Ubuntu 12.04. After added the PPA, you can install the music player and run regular system updates to upgrade Clementine if a new release is out.